The FTC is asking Google for more information on its $1.1 billion acquisition of crowd-sourced navigation app Waze. Google confirmed on Saturday that the agency has contacted them. Since Waze has revenue of only $70 million in the U.S., the deal did not trigger an automatic review. While most antitrust experts do not expect the FTC to block the acquisition, it does have the right to review the deal before giving it a thumbs up. The FTC will have to determine if Waze would have grown in size to have been a competitor to Google Maps. The agency also has to determine whether Google made the offer to buy Waze solely to keep the app, which has 45 million members, out of other companies' hands. Other major firms that were said to have interest in the Israeli based company include Apple, Yahoo and Facebook. The latter was believed to have a deal to buy Waze that fell apart when the executives of the target company refused to move Waze's HQ from Israel to Facebook's corporate offices. At the time that the deal was announced, Google said that it would allow Waze employees and executives to remain in Israel although it did say that it would incorporate some of Waze's traffic and navigation reporting into Google Maps while some of Google Maps' technology will be used for Waze. Over 1 billion users rely on Google Maps for navigation and traffic information. Waze uses information received from its member's smartphones to present the best routes for drivers to take after considering traffic, accidents, construction and weather into account. Waze isn't a competitor(in my mind), I think of it more has a supplement to whatever map service you use. Apple, Yahoo and Facebook are behind this so called "FTC asking"....just saying..
Well you know what the ole saying is... "If you're scared, call the police". 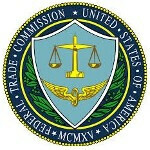 Why does the FTC need to get involved over a foreign based company? The reason why is because all for of the aforementioned companies including waze operate on an international basis. Including a large number of Americans. Also another reason why is because they want to make sure that GOOGLE doesn't become a monopoly here in the united states... Or stockpile to many patents and unfairly hold them away from the other three companies. Apple doesn't make too many high profile purchases. They buy up smaller innovative companies that require and FTC probe. They just make high profile partnerships. An lawsuits are public/ law documents anyway another reason no probe is needed.